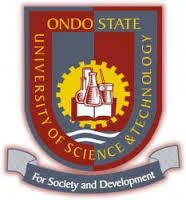 Ondo State University of Science and Technology (OSUSTECH), Okitipupa Resumption Date and Continuation of Academic Activities for 2018/2019 Academic Session. The Management of the Ondo State University of Science and Technology (OSUSTECH), Okitipupa wishes to inform all newly-admitted and returning Students that the resumption date has been announced for 2018/2019 academic session. Both new and returning students are now to resume on 24th February, 2019, while lectures and other academic activities commences immediately on 25th February, 2019.